<p style="box-sizing: border-box; margin: 0px 0px 10px; font-family: 'Barlow Condensed', sans-serif; font-size: 13px;">On the inside, the car feels larger than it really is. There’s plenty of head and leg room throughout the interior with more emphasis on the front and the rear. Given the number of different trim lines, you can reasonably expect there to be a large variety of differences in the convenience and safety features each trim provides. This allows customers to find the right package for their needs without having to spend money on useless extras. Over the past two years, Ford has improved the amount of standard and optional features they provide on smaller cars like the Ford Focus. The company, thankfully, has finally realized that small vehicles make great platforms for the extra convenience and safety many of these features can provide when combined with the greater fuel economy and maneuverability a small frame offers. The 2018 Ford Focus is the embodiment of this philosophy. Through a plethora of standard and optional features, you will find the Focus to be enjoyable and safe to drive no matter what trim you ultimately pick. The safety features of the Ford Focus begin with the standard lineup of front and side driver/passenger airbags that provide plenty of protection. Earning a five-star rating from the National Highway Traffic Safety Administration, the Focus won high marks in areas such as side impact, roof strength, and overlap protection. Although the car lacks standard active safety features, you can get additional options such as blind spot monitoring, lane keeping assistance, and parking sensors through the optional safety package offered on the top Titanium trim level. Convenience options are more readily available throughout the different trim levels. 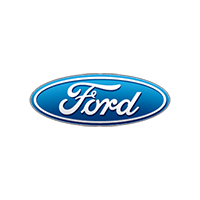 Handy features include an 8 inch LCD touchscreen in models that come equipped with Ford’s Sync 3 infotainment system. This system includes a variety of apps that allow you to monitor and control the car’s performance, connect Bluetooth-enabled smart devices, and control the media systems such as the audio. The S and SE trims all lack this infotainment system and come with a 4.2-inch display instead to control the audio system and Bluetooth connectivity. The 2018 Ford Focus may lack the signature looks of something like the Mustang, but it’s overall exterior and interior design does a good job of maximizing aerodynamic efficiency on the outside and passenger/cargo space inside. Best of all, the 2018 model continues the line’s tradition of offering different body styles to customers who prefer a traditional sedan or hatchback design. Both primary body styles feature the same graceful curves and narrow nose in the front. The front headlights provide ample coverage at night while the turn signals are optimally placed in each front corner for extra visibility on the road. Visibility through the front windshield is also respectable since the hood sweeps down to blend in with the street. The body styles diverge in the back. With the sedan, you will get a traditional trunk set up directly behind the rear passenger seats. The trunk lid itself is smaller than usual and provides more depth than length. In other words, the trunk space is great for objects that have some height. The space also allows you to stack luggage and boxes with ease. The hatchback, on the other hand, takes the traditional approach of maximizing cargo space at the cost of some aerodynamic efficiency. The rear lid offers plenty of height to fit taller, more awkward items into the rear cargo space. The cargo area itself is smaller compared to other traditional hatchback and station wagon designs but can be increased via the rear folding split seat design in the back. On the inside, most people find the car to be spacious with more room in the front and the back. The front seats have plenty of leg and headroom to offer taller than average drivers and passengers alike. People with larger frames, however, may want to avoid sitting in the back since legroom is drastically affected by the position of the front seats. Beyond the space itself, the interior comes with many common features such as an adjustable steering column and optional power, heated front seats. A central LCD display also dominates the front console to provide information and control through the car’s infotainment system. Looking through the various options for engines and transmissions in the Ford Focus lineup can be confusing at first. Ford has done a good job of providing the performance some customers seek with certain options and the fuel efficiency others need with other options. This means any person seriously looking at the Ford Focus should determine whether they need more horsepower and torque or fuel economy before they get down to the small details of each trim level. The base option is a 2.0 L four-cylinder engine with 160 hp and 146-pound-feet of torque. The small engine pairs well with the light, narrow profile of the car’s exterior. On the sedan body style, you can expect a fuel efficiency in the range of 25/34 MPG city/highway. This engine is standard on the S, SE Hatch, SEL Hatch, and Titanium trim levels. People wanting more fuel efficiency have a few different options. The SE Sedan trim comes with an intercooled turbo regular I-3 1.0L engine. Performance seekers may find this three-cylinder option to be underpowered, but customers wanting more fuel efficiency without an all-electric drivetrain will appreciate the 30/40 miles per gallon city/highway fuel efficiency. This engine won’t get you anywhere quickly, but it will help you save on the gas bills. The all-electric drivetrain offers the most amount of fuel efficiency available with the Ford Focus. Using an electric motor to power the front wheels, the electric version tops out at around 143 hp and 184-pound-feet of torque. On a single charge, this option will get around 110/99 MPGe which is perfect for casual driving in urban or rural environments. If you want something with a longer range and fuel efficiency, you may want to consider the three-cylinder engine option instead. Ford has reserved one of the top trim levels for true performance seekers. 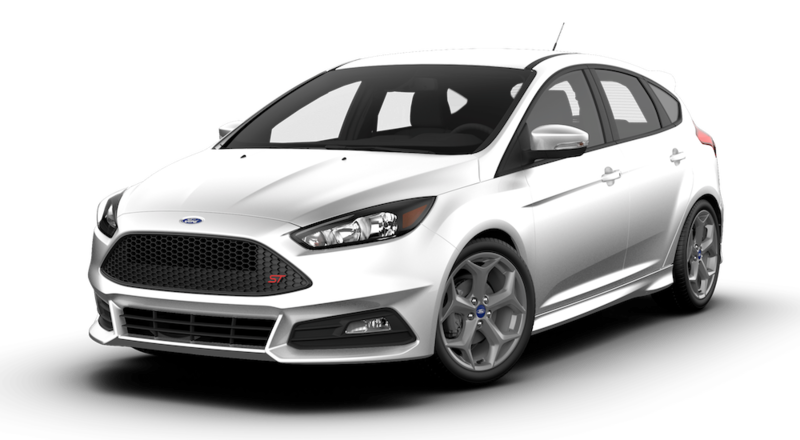 The sports-oriented RS hatch comes with an intercooled turbo premium I-4 2.3L four-cylinder engine. Featuring all-wheel-drive, 350 hp, and 350 pound-feet of torque, this version of the Ford Focus is as close to the rally car set up as you can get. Fuel efficiency, unfortunately, decreases to an average 19/26 mpg city/highway. 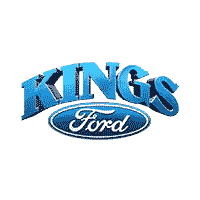 Kings Ford makes it easy to find the vehicle you are looking for without any of the usual hassles of searching for a car. We do this through our knowledgeable staff that is always on hand to answer questions, guide you through different options, or attend to your service needs without any appointments. On our lot, we treat you like the valued customer that you are. Regardless of whether you need a new or pre-owned vehicle or need to service an existing one, we can help. Best of all, we will save you some money while we are at it. From constant deals and incentives to our stellar financing options, we can help you save on a new purchase, parts, or services.